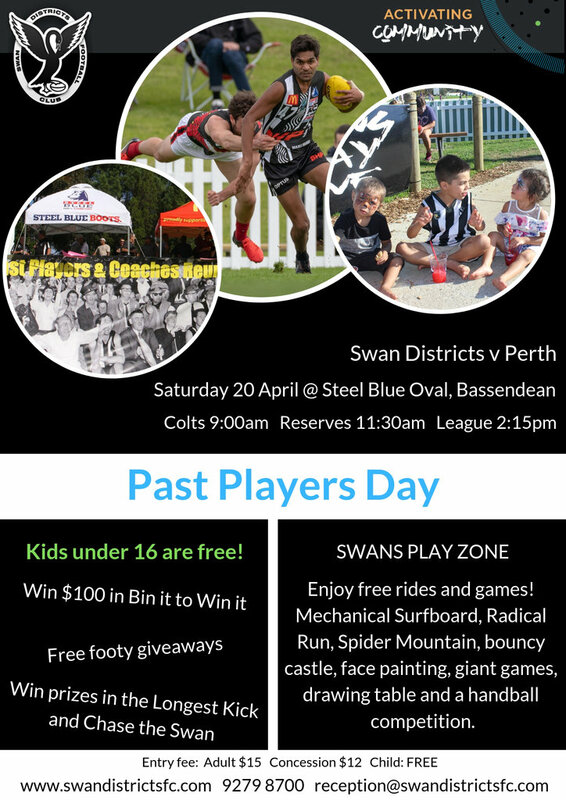 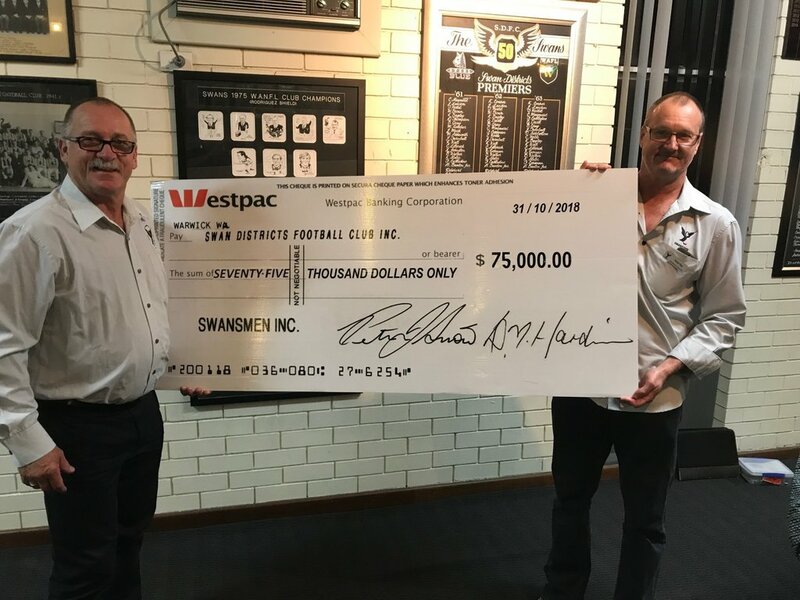 The Swansmen are an incorporated coterie group of the Swan Districts Football Club whose members all share a strong common interest in the Club’s on field and off field success. 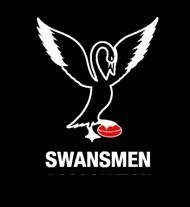 Originally formed as the Swan’s Businessmen’s Association Inc. in 1983, the group has evolved to less of a business and more of a social orientation - as Swansmen Inc. 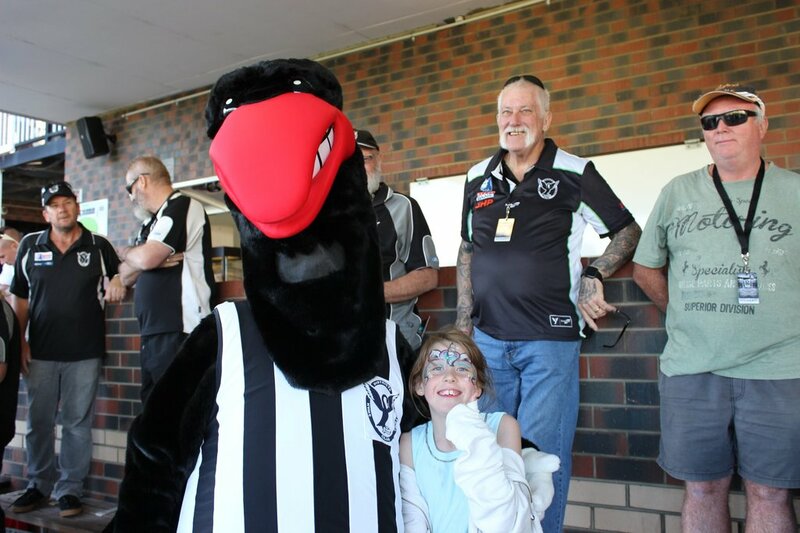 The membership is diverse and ranges from retirees from all walks of life, to tradesmen, small business owners, company directors and even young executives in early stages of a career.